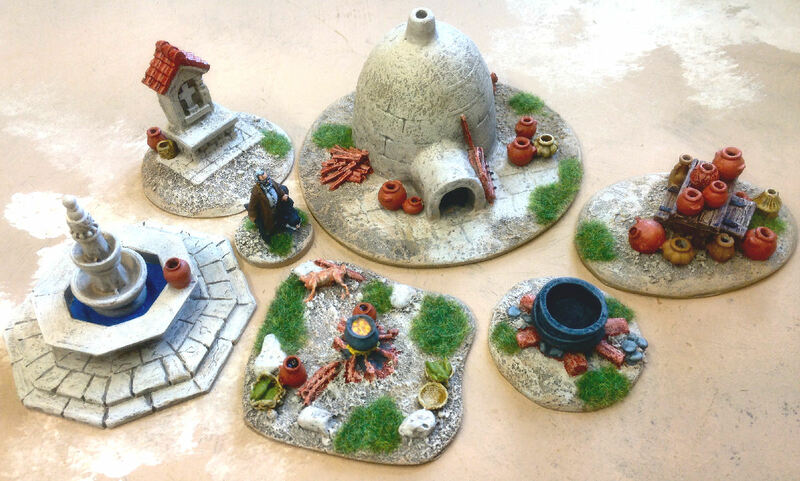 About twelve years ago when Flintloque came out we used to have large multiplayer games using the Guernsey Foundry black powder rules. 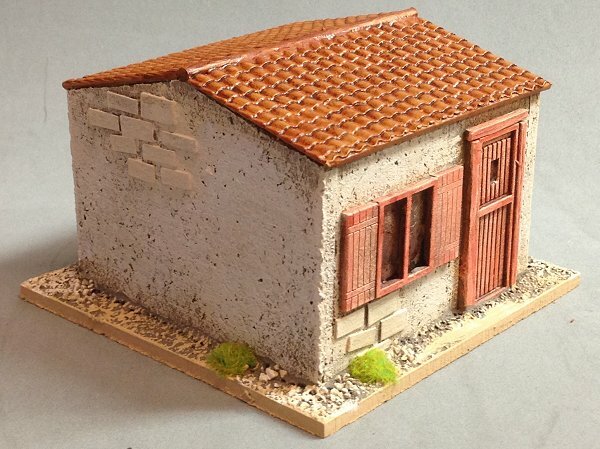 Often we would have six to eight players around the table with upwards of 150 miniatures doing battle. They were great games; fast, furious and fun. 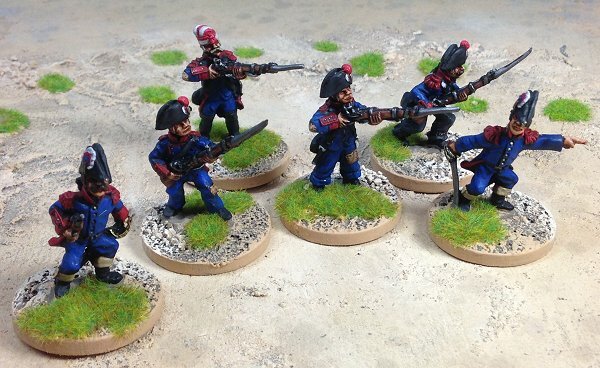 The Napoleonic bug has bitten me again and so I'm going to recreate my old Flintloque armies using historical figures. 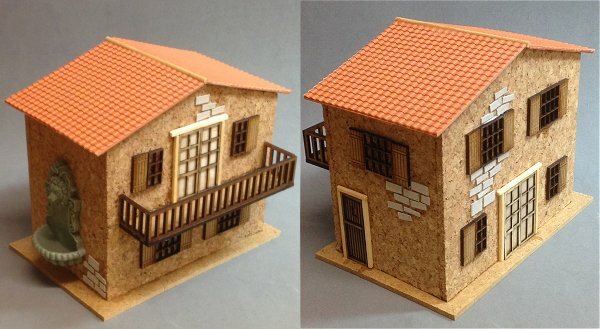 The first of these figures have started arriving on the Tea House doorstep and are shown on the right. I'm sticking to groups of around 6-8 figures of each type with no doubles as each figure has his own activation card and needs to be easily identifiable without having to look under bases etc. Obviously I'm not going to disfigure my little chaps by painting numbers on them or anything like that either. 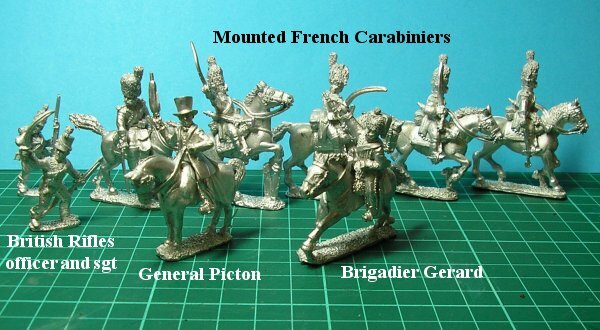 I'm awaiting an order of some Perry Miniatures which will add a further 18 French and 6 more British Rifles. 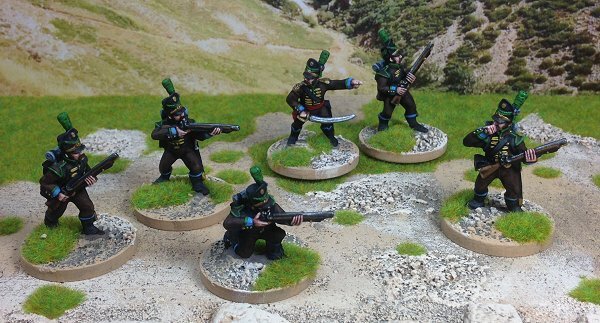 I plan to have the Front Rank Rifles as the 60th and the Perries as the 95th. I will need to order a Rifles officer and sergeant from Front Rank this month as well. 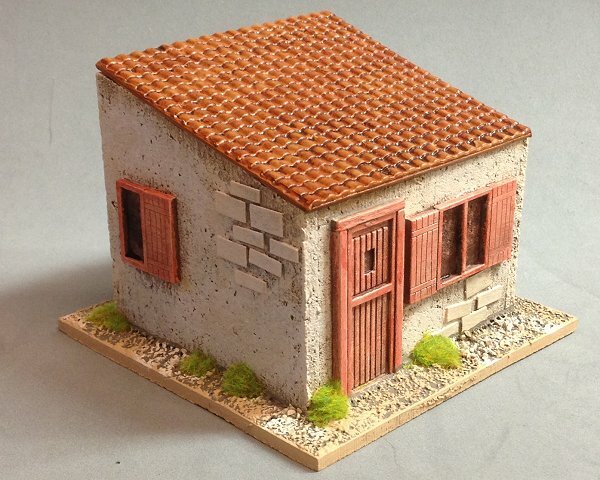 I started by painting some French and planned to do a unit of each side until the whole lot was completed. 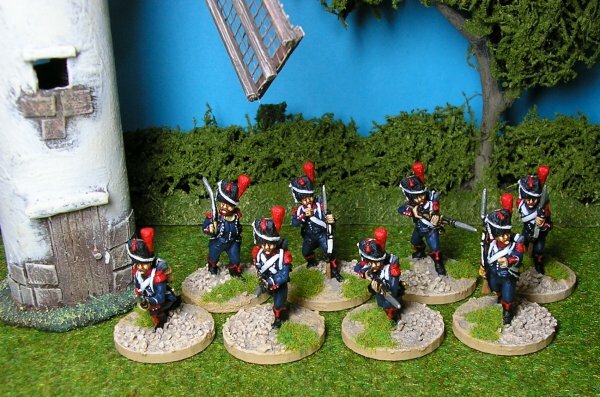 There were more French than allies so I actually painted two lots of French, my carabiniers and my Front Rank voltigeurs. And then I stopped because it was a nightmare and each figure took forever to complete. 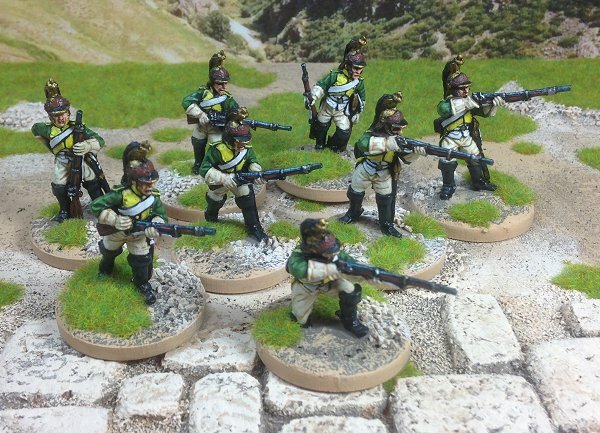 Right, back to this after a three year break (too many straps on Napoleonics, I need to paint them infrequently). 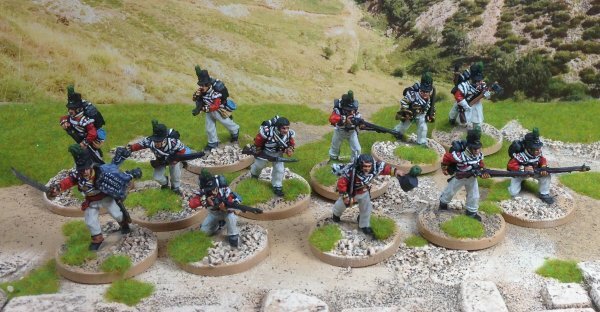 Sharpe, Harper and the 95th Rifles were fairly straight forward to get done but I was still hating the straps so I went on to the Naval contingent next. 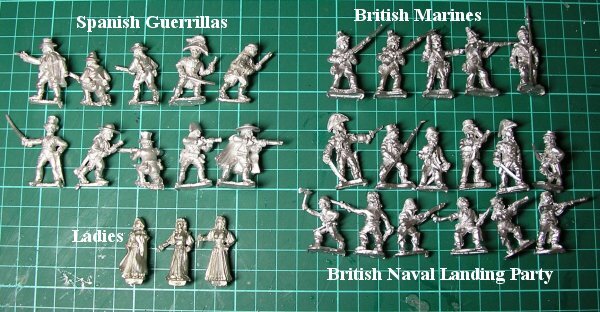 My British Naval landing party is entirely comprised of Britannia miniatures with guns from the Foundry pirate range that I happened to have lying around. 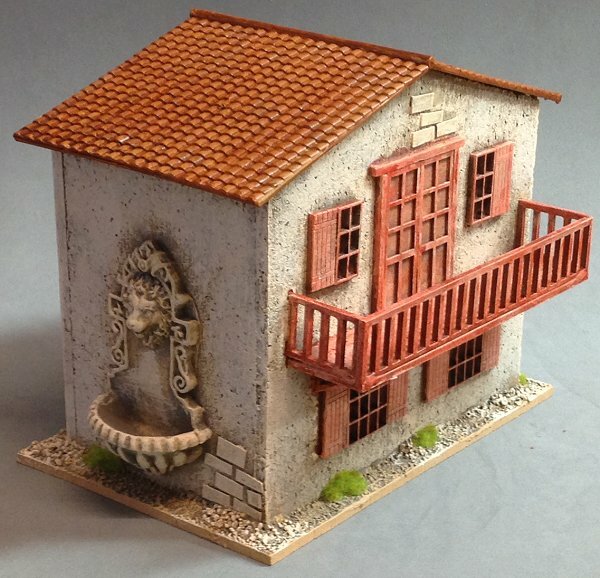 The boats are resin from Minimi Miniatures. The first landing party commanded by Captain Bush. The second landing party commanded by Horatio Hornblower. The boats, I added a tiller bar and rudder post from matchsticks because I wasn't keen on the flat sterns. The solution to my problem was simple. 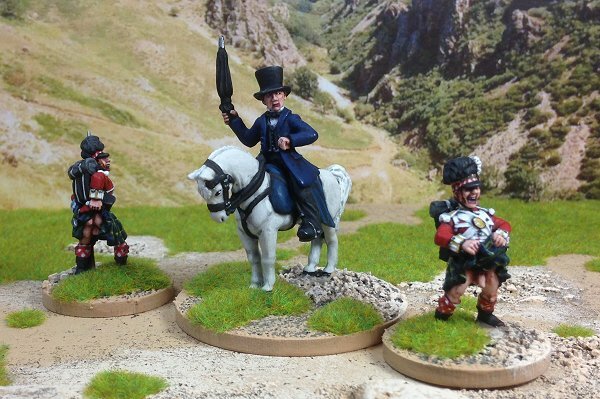 I decided to get other people to paint the Napoleonic miniatures for me. 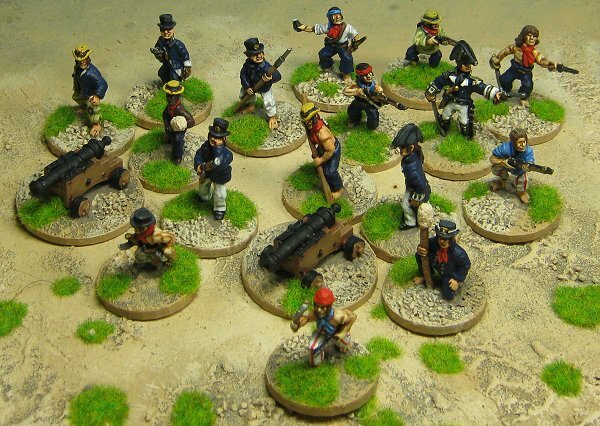 The first of the miniatures I sent away for painting were some Britannia Marines and a Steve Barber Nelson which were painted by Paul Cook (McYellowbelly). 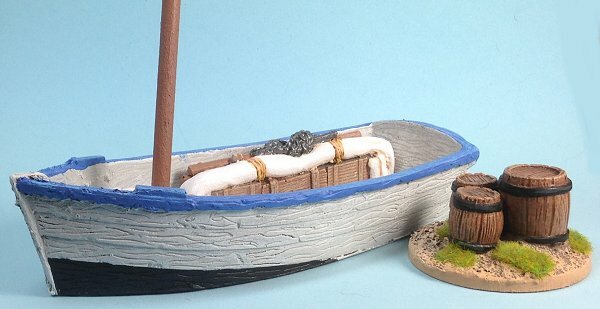 I painted another boat (bought from a manufacturer at Colours one year but I forget who) and rebased a load of barrels and boxes I had in the drawers. 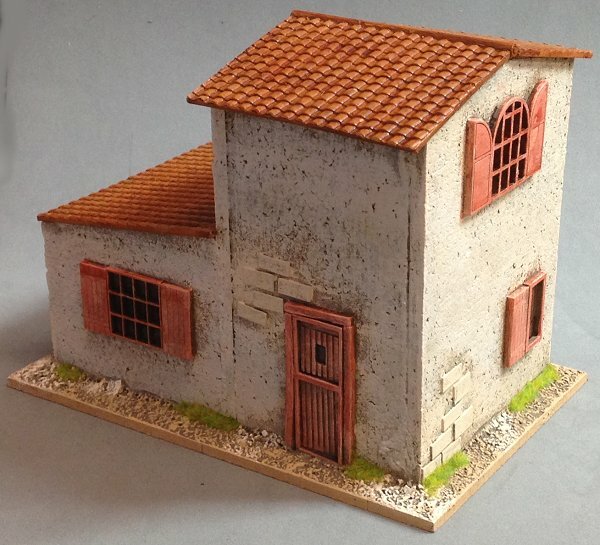 The ones shown here are from ﻿Pardulon﻿ (no longer available sadly). Don't worry, I'm not going to show them all. 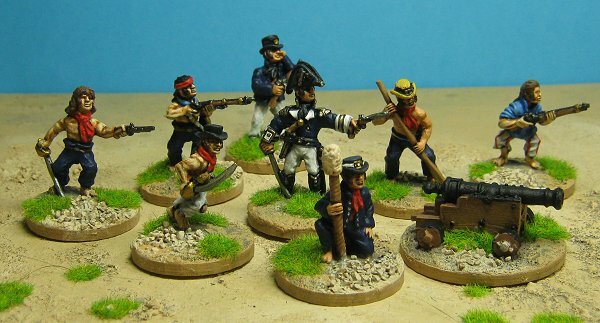 Next I got more painting from Paul Cook, this time French Marines and a Naval officer. 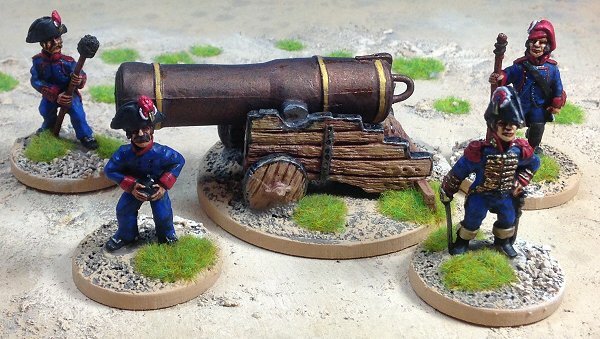 I painted the Britannia 64pdr that accompanies them. 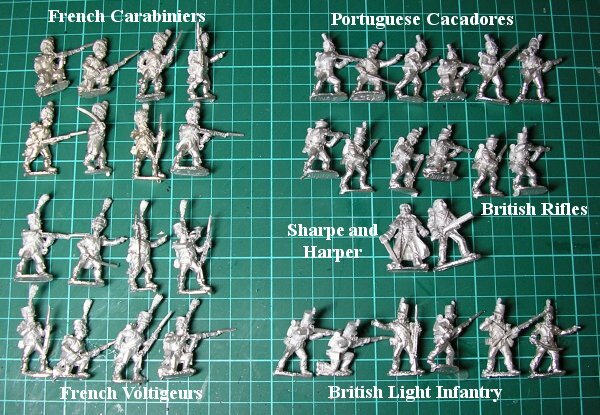 All the miniatures are from Britannia. 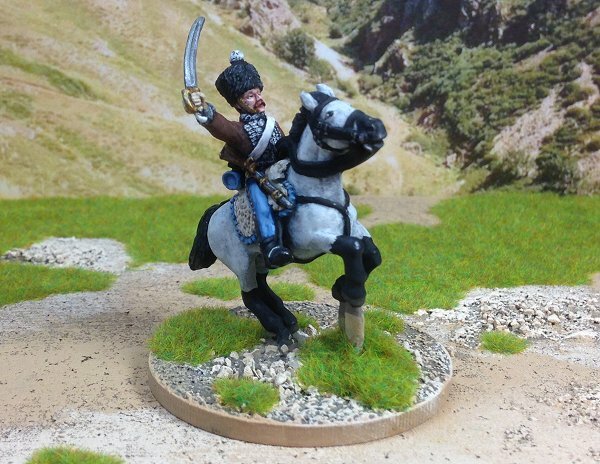 Then it was time for some cavalry. 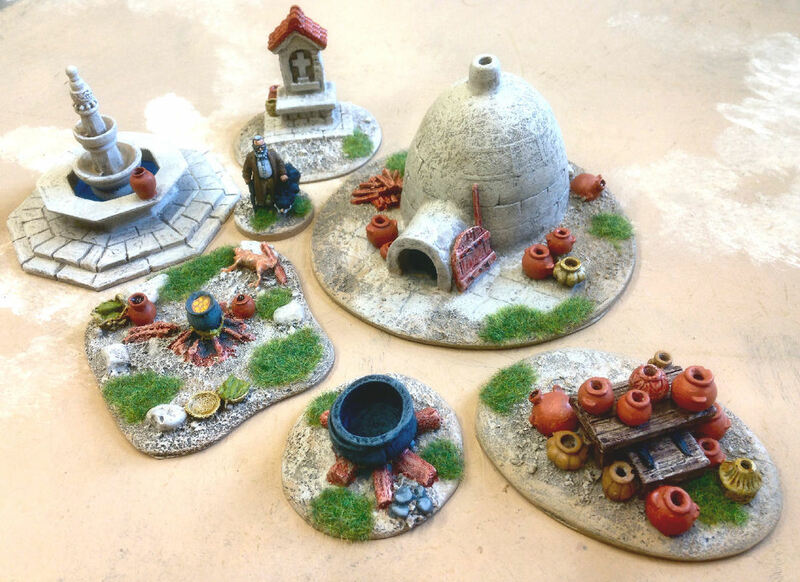 All these have been painted by AndyMac. 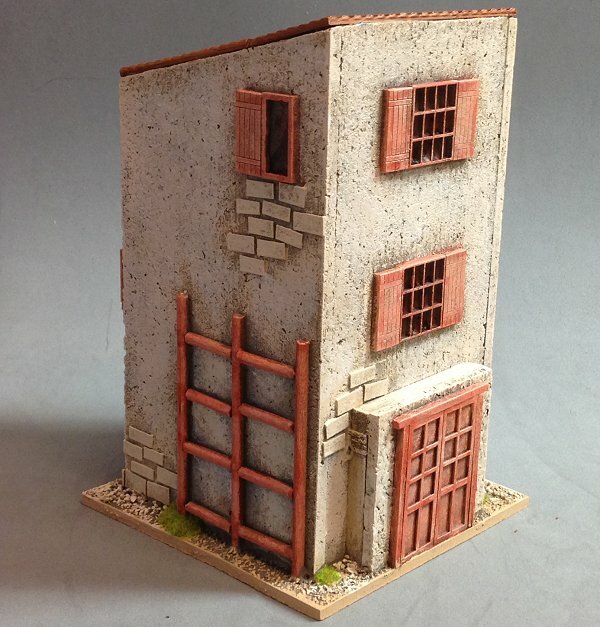 The miniatures are from Brigade Games. 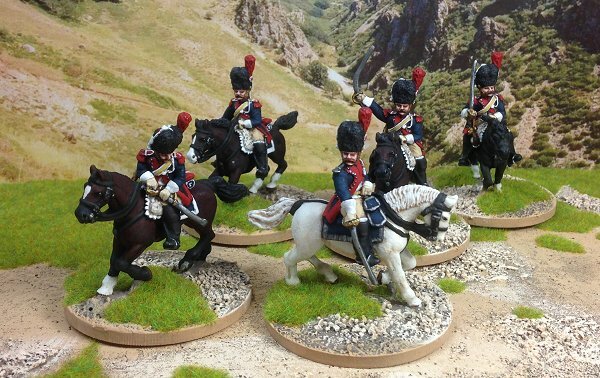 British Light Dragoons, British Heavy Dragoons. 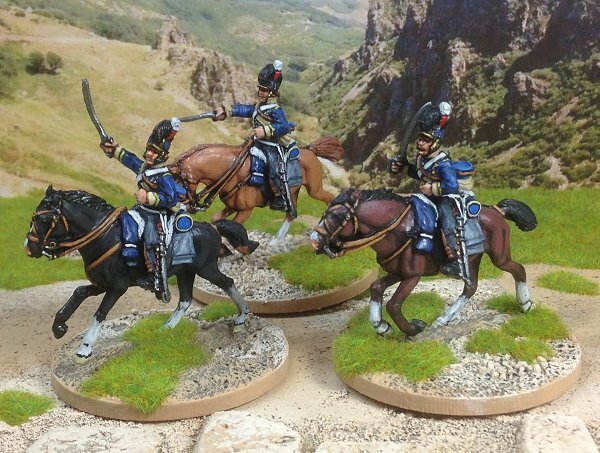 and some Dismounted French Dragoons. 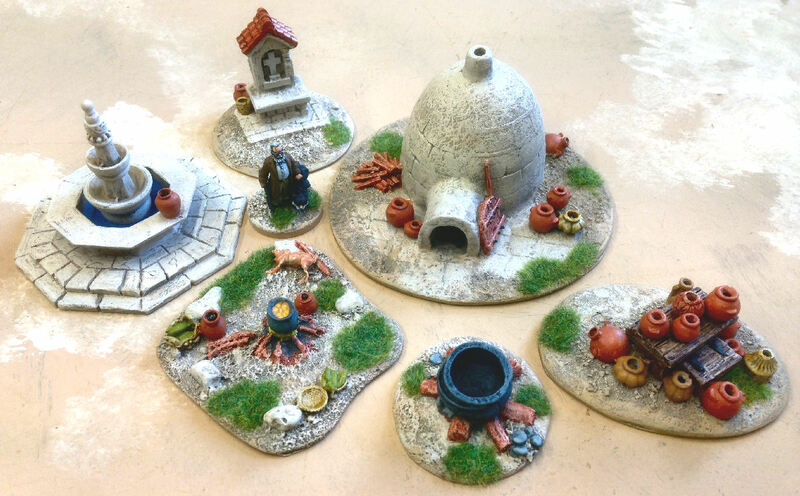 The next miniatures to return were all painted by Redzed and comprised the remainder of the original set of miniatures I assembled for the project. These were the first I'd sent off and the biggest batch. 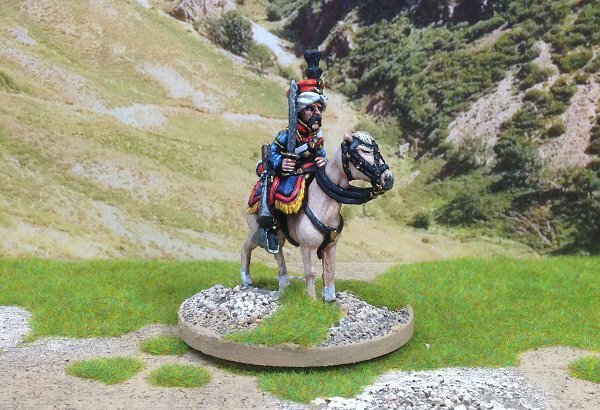 Brigadier Gerard was a Colonel in the elite 2eme Hussars during the Peninsular campaign and was painted wearing the uniform of that regiment. He is mounted on his mare Violette. 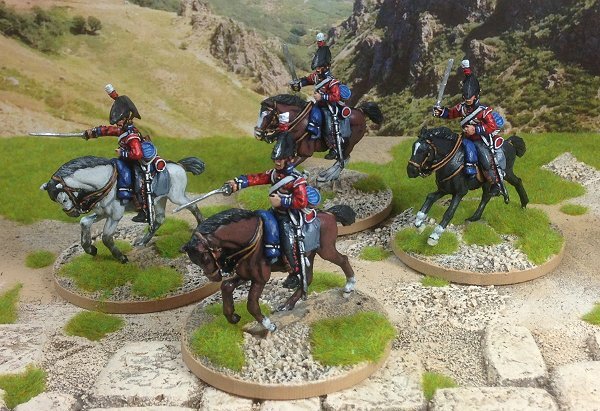 The mounted carabiniers will keep him company until his own regiment arrives. 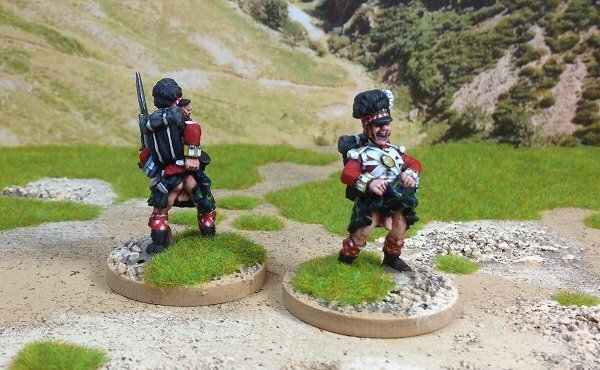 Front Rank's General Picton who will act as an exploring officer gained a pair of rude Highlanders to accompany him from Westphalia Miniatures. Not for the squeamish! Front Rank British light infantry. 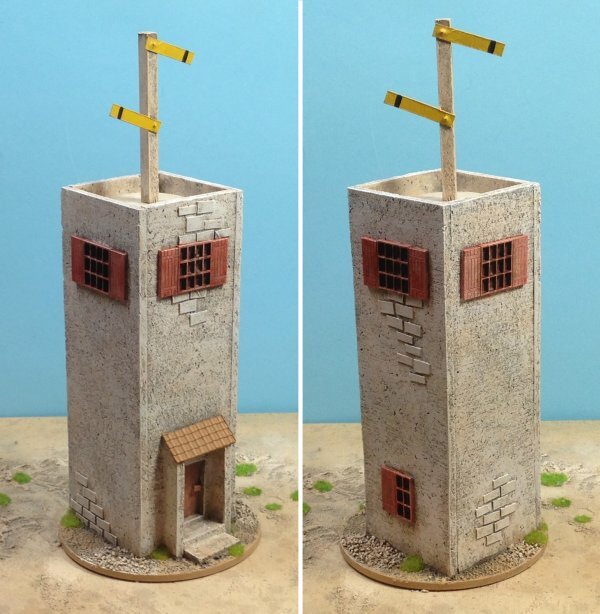 these are painted to represent the light company of the South Essex regiment. Portuguese cacadores and the Spanish guerillas representing the locals. 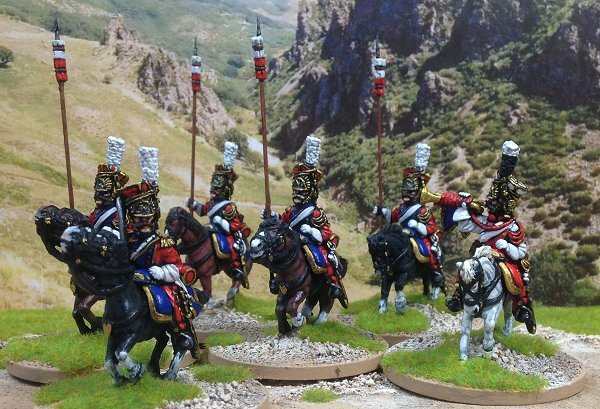 This 'not doing it yourself' approach was quite intoxicating so I splashed out on some Britannia cavalry that I'd always wanted and got them painted by Andy Mac. As well as my Red Lancers and 2eme hussars (for Gerard to lead to glory) there was a single Mameluke, included as a freebie by Britannia. 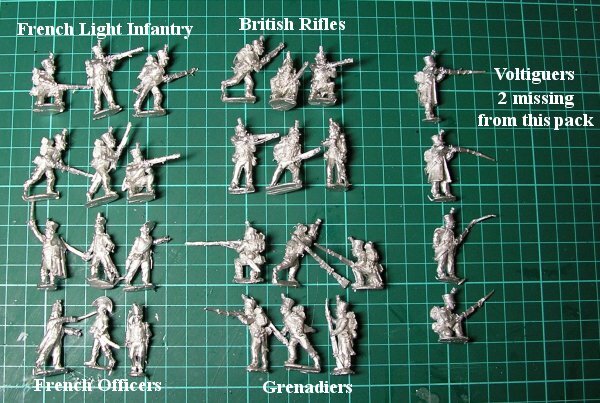 Finally some civilians from Front Rank Figurines and Some more light infantry from the South Essex regiment from the Perry twins. 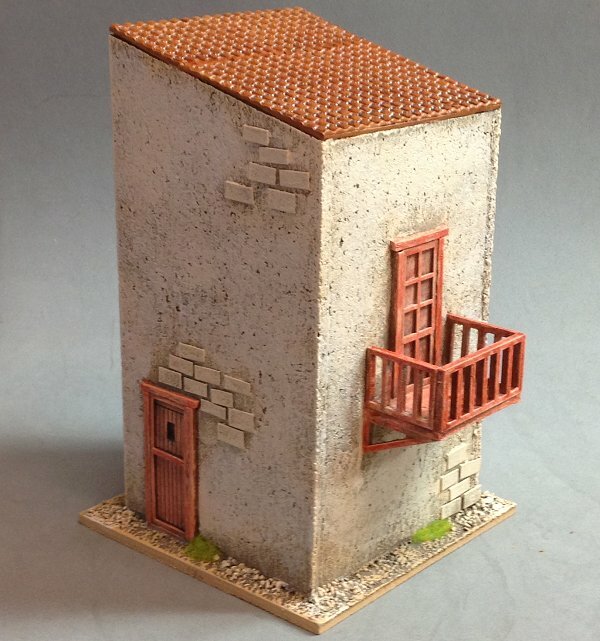 All painted by Andy Mac. 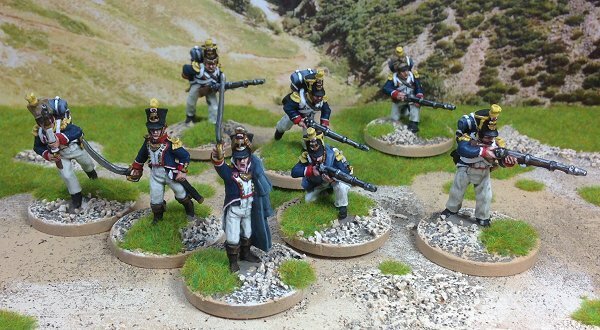 This first set are from Front Rank Figurines except for Sharpe and Harper who come from Chiltern Miniatures (now available from SHQ). This second assortment are more of a mixed bag. 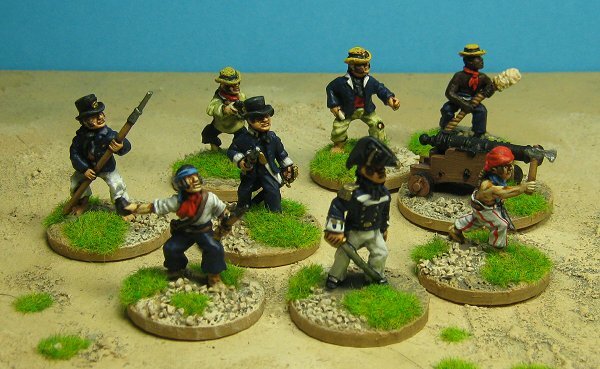 The Spanish are Front Rank again but the Naval crew and Marines are from Britannia Miniatures. The ladies are old Castle Falkenstein figures. Here's a representative selection lined up so you can see the relative sizes. No problems here as far as I'm concerned. Here are the Perry figures, they're nice and big which is a relief. 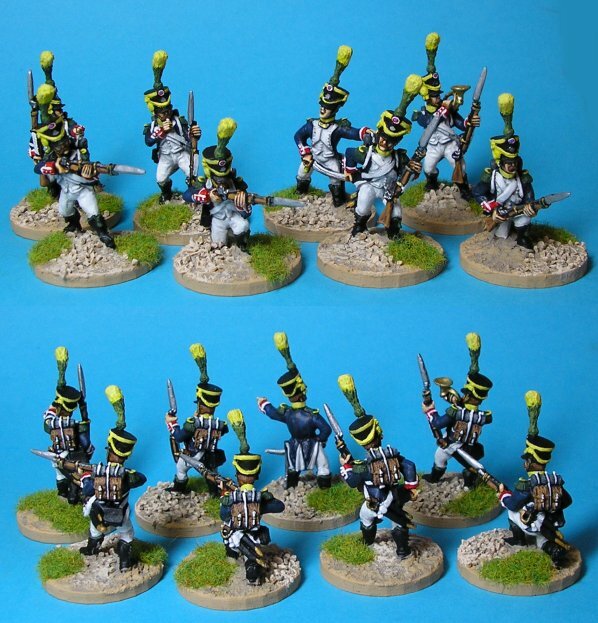 Two were missing from the pack of Voltigeurs in great coats but I'm sure they'll be replaced soon. 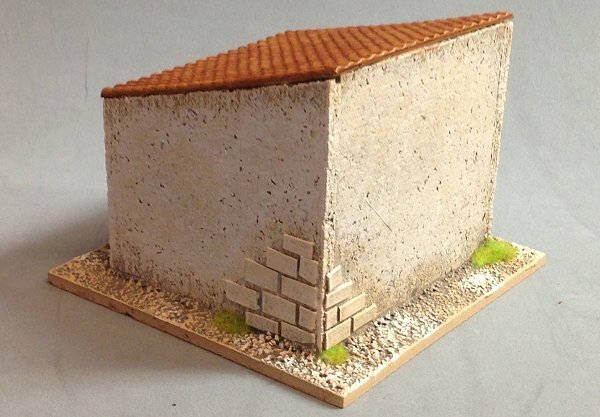 Just waiting on some cavalry and the Rifles officer from Front Rank and then I'll be all set to go. 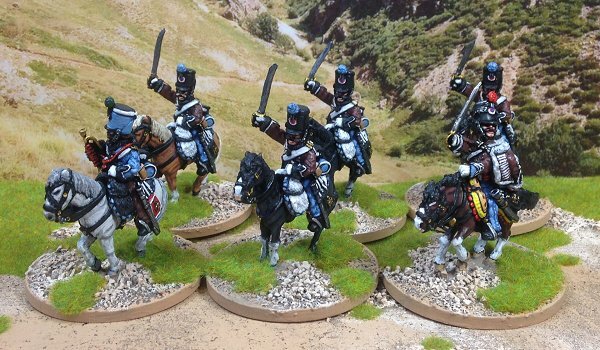 The cavalry from Front Rank. Here is the first group of French, some carabiniers. 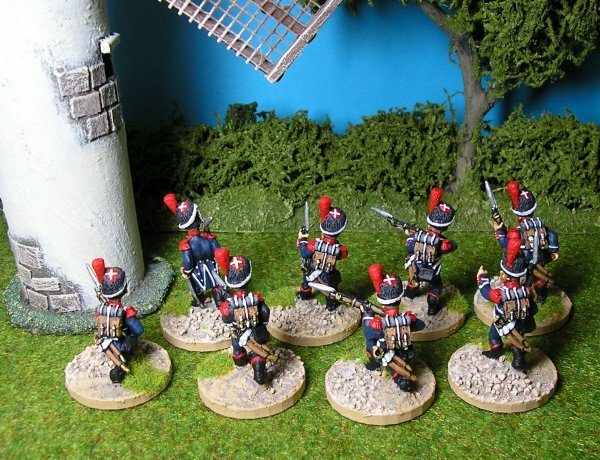 The second group of French, eight voltigeurs. 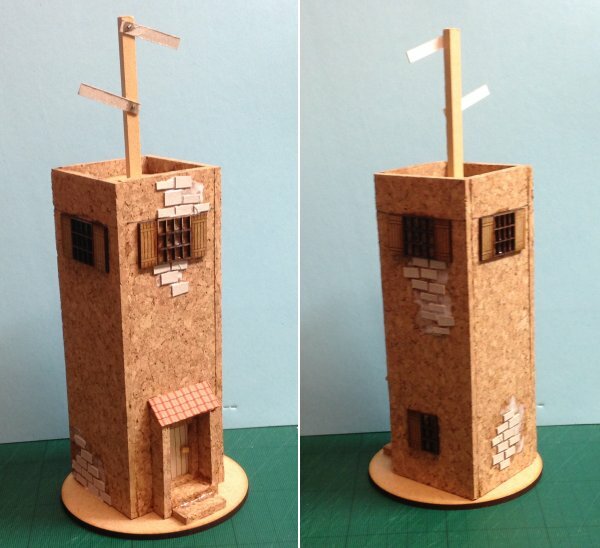 My first building for this project is a small semaphore tower. Somewhere for my naval landing parties to raid. 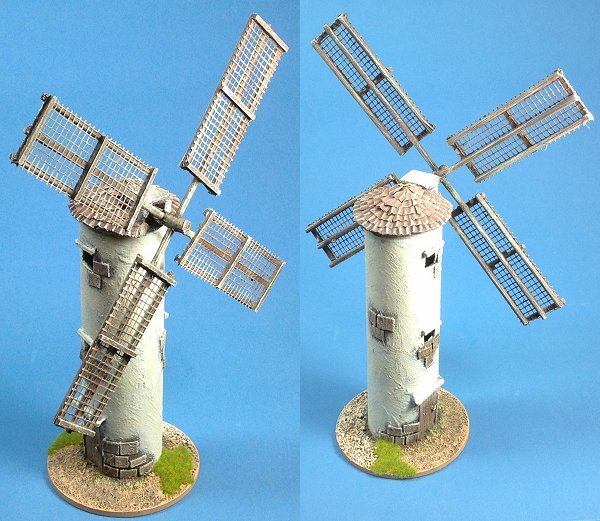 There's a better picture of my windmill now I've re-based it. 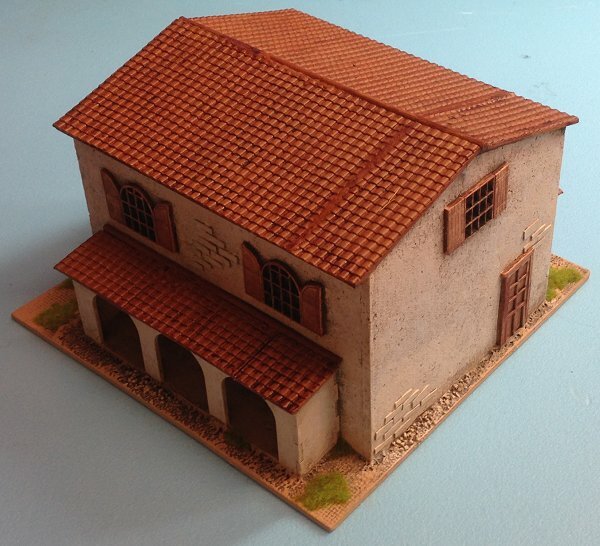 I didn't make this, I bought it off eBay ages ago, you can see it in the first pictures of painted miniatures at the top of this page. 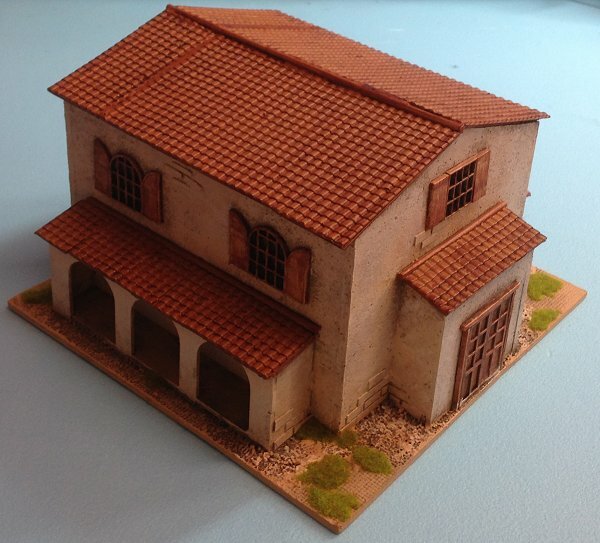 I put together a small village comprising a three story building, a house, some stables,a small house, a large house with balcony and fountain, and another small house. 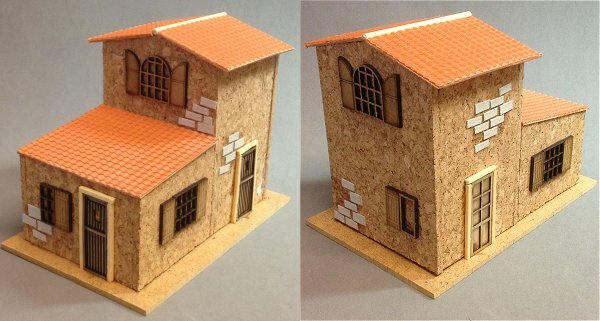 These buildings were very quick to make, using laser cut doors and windows meant I didn't have to cut any openings which is what takes the time usually. 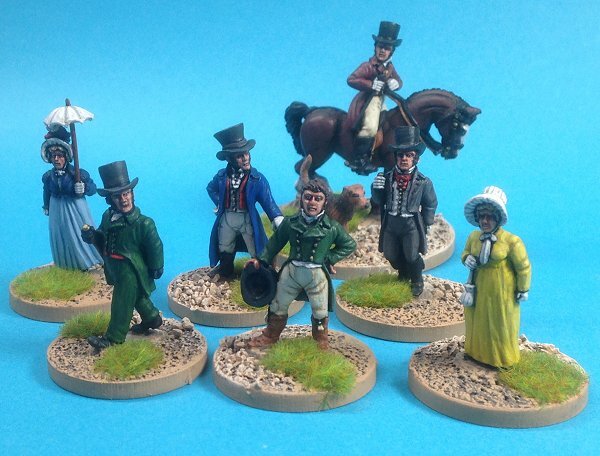 All six were built and painted in two days. 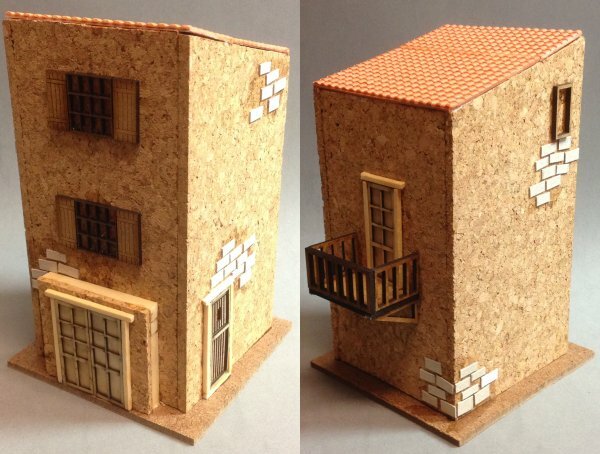 The windows and balconies are from Warbases, the doors from Fenris Games and the roof sheets are by Wills which are available from model shops. 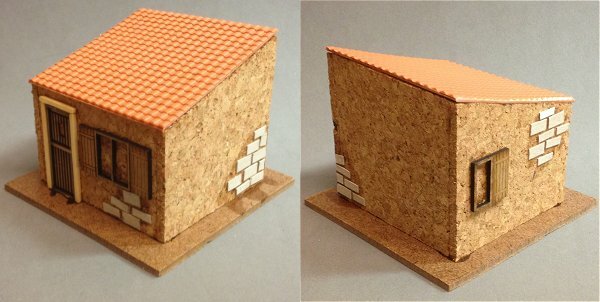 I got mine from Antenocitis Workshop. 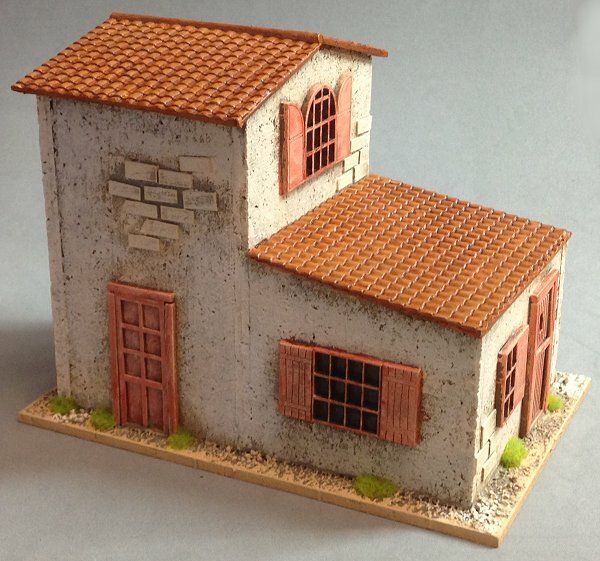 With the addition of some quickly made walls I can make a respectable little village. 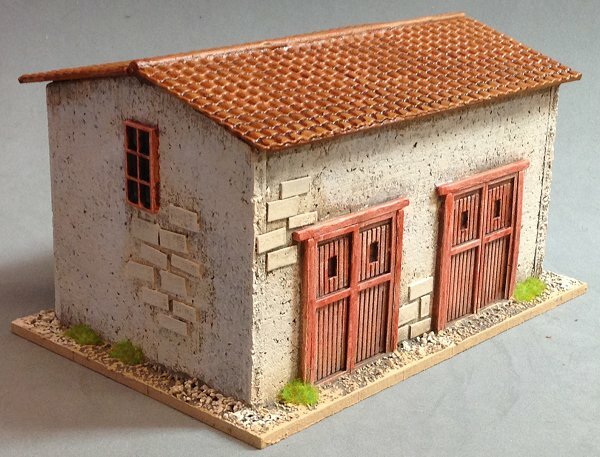 I made a final large building to make use of some Warbases porticoes that I ordered and the village was complete. 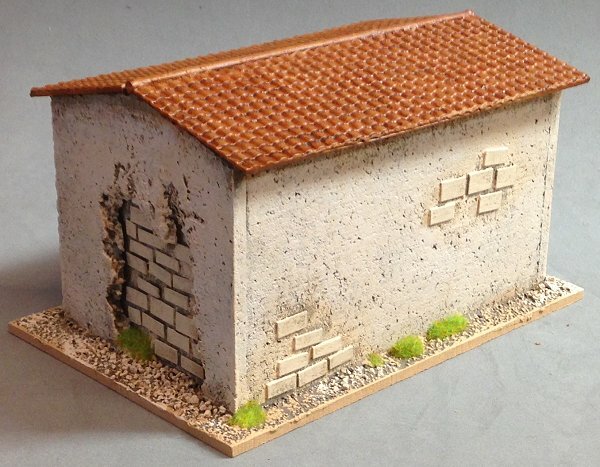 I bought some resin gabions from Empress Miniatures. I think they're a bit large but they'll do in a pinch. I've assembled them into the remains of old gun positions that I can dot around my table for some extra cover. 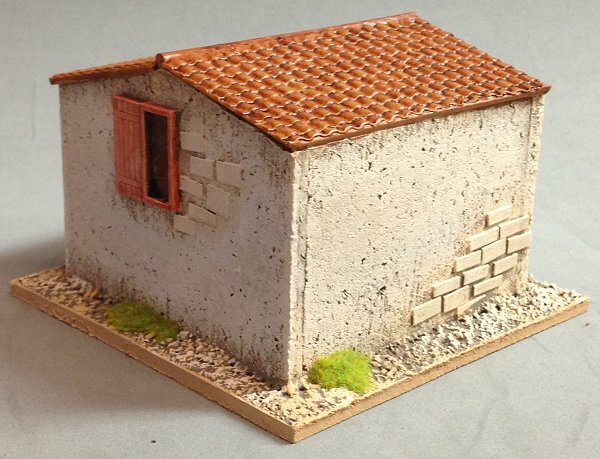 It's been a while since I did any painting due to real life events so, to get myself back into the swing of things I bought some general scenery items from Grand Manner which I can use for this project and several others, most notably AGON and Conan (except for the shrine of course). 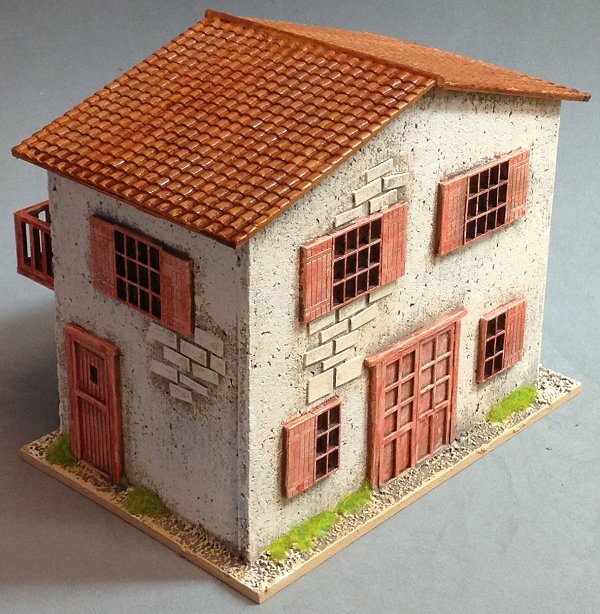 These came out well despite the minimal effort required to paint them. The miniature me is from Lead Adventure Miniatures and was painted for me by Andy Mac as a birthday present. 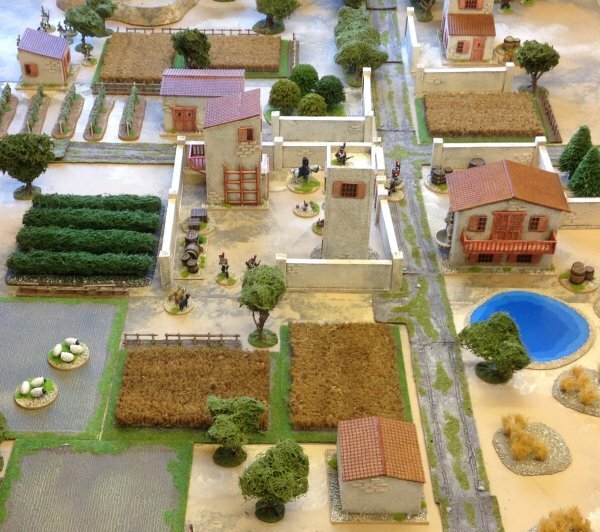 I set up a skirmish game to commemorate the 201st anniversary of Waterloo. 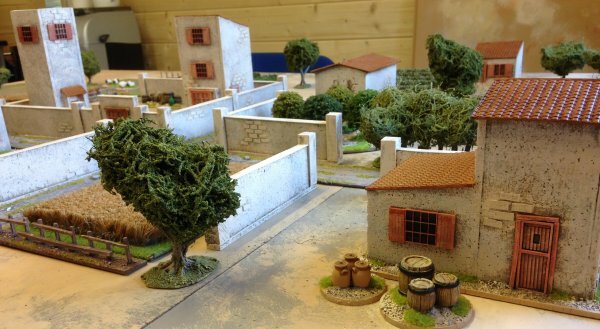 Two foraging parties clash in a Peninsula village. Richard Sharpe and Etienne Gerard meet on the battlefield for the first time. Some photos of the game(s). 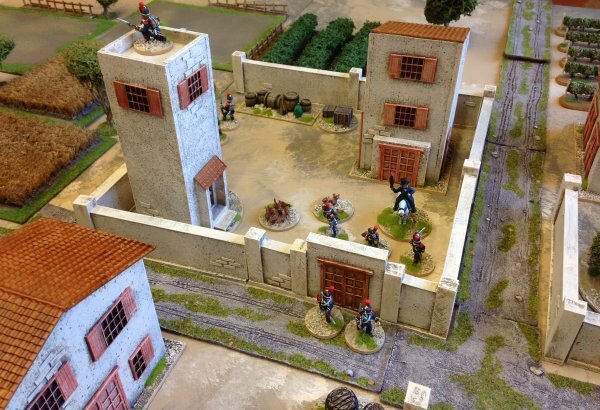 The first play through was a fast win for the French, the second went to the wire with the British eventually winning. 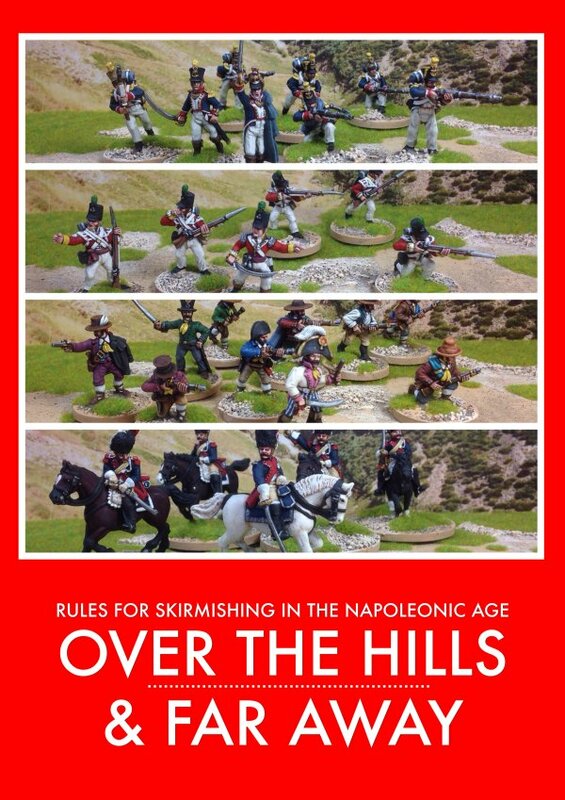 My Napoleonic skirmish rules are available to buy for only £1.50.